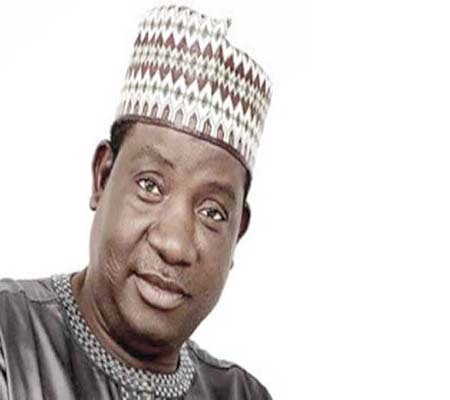 Governor Simon Lalong of Plateau swore in 17 commissioners for the 17 ministries in the State. His Deputy, Prof. Sonni Tyoden is to oversee Higher Education. Lalong urged Tyoden to use his wealth of experience as former Vice Chancellor, University of Jos, to assist in the development of higher education in the state. Lalong advised the commissioners to consider themselves as servant-leaders who would serve selflessly, diligently and faithfully with the fear of God. “As you come on board as commissioners and members of State Executive Council, you are first in line as policy formulators and co-drivers of these policies in various ministries assigned to you. “The responsibility is not about glamour of office, but of absolute responsibility in terms of exercising political, economic and social authority for the welfare of the people. Lalong warned that there would be no place for idleness, laxity and unproductive ventures. He urged commissioners to be prudent and device cogent ways to avoid waste of resources as well as fight corruption – the hallmark of the change mantra. Dadi, who spoke on behalf of the appointees, said they would not disappoint the people of the state and the governor for the confidence reposed in them. The commissioners are Mr Joseph Mariga, Education Science and Technology Secondary Education, Mr Hitler Dadi former Chairman of Langtang South, for Special Duties. Mr Festus Fuanter, APC spokesperson in Plateau, is to serve as Commissioner for Lands, Survey and Town Planning, Dr Kunden Deyin for Health and Mrs Lynda Barau, Agriculture and Natural Resources. Others are Mr Mwankon John, Culture, Tourism and Hospitality, Mr Jonathan Mawiyau, Justice and Mr Samuel Galadima, Housing and Urban Development, Mr Pam Dongs, Works and Transport. Others are Alhaji Dayyabu Garga, Local Government and Chieftaincy Affairs, Mrs Tamwakat Weli, Finance and Ja’afaru Wuyep, Water Resources. Malam Nafiz Ahmed – Information and Communication, Mrs Rofina Gurumyen – Women Affairs and Social Development, -and Mr Danladi Mann, Youth and Sports Development.